About us | Wow Plastics Inc.
WOW PLASTICS Inc. is a Texas corporation located in Rosenberg, just 25 minutes south of Houston. We are one of the leading manufacturers of plastic disposables in North America. Our distribution facilities allow us the ability to service from stock; ONE CASE, MULTIPLE CASES, LESS THAN TRUCKLOAD (LTL) OR FULL TRAILERS to our clients normally in less than 7 days. 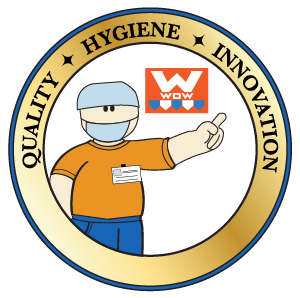 WOW PLASTICS meets all of the US and International requirements for Food Service Operations. We pride ourselves on our outstanding quality, customer service and competitive pricing. To be leader in national and international markets by leveraging plastic products where we have competitive advantages, relying on strong values and a culture of continuous improvement. Always look forward to future opportunities, competitive advantages, new products and technologies to uphold our Mission Statement and Strategic Objectives at maximum growth. Our main commitment is to the customer through continuous improvement focused on our quality, service and competitiveness. To help our customers to reduce their costs by offering products at competitive prices, and always looking after our quality and hygiene. To support the ecology with the new 100% recyclable products without harmful content. To offer new products to the packaging industry. Supported on the best technology, the most modern equipment and an efficient distribution network, we can deliver your orders at any place in Mexico and USA.